Savour a meal a la Japanese flavours with this lunch set from Chapel Street Cafe. 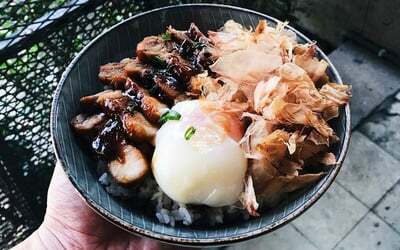 Pick from dishes like char siew rice bowl with onsen egg, or soba noodles with homemade miso minced pork sauce to go with your choice of a coffee or tea drink. Valid Mon - Fri: 12pm – 4pm. Not valid on Saturdays and public holidays. Closed on Sunday.